Aaaahhhh bedtime... A struggle for most parents at some stage in their parenting journey. We all know that a bedtime routine can really help little people know what comes next and what to expect in that wind down time to sleep. In our house it's dinner, bath, ABC kids until the goodnight song at 7pm - then off to bed for a book with dad, followed by cuddles and a chat with mum. But it's not as simple as it sounds - that whole procedure can take ages! No matter how much time, effort and patience I give her, she always wants "just one more hug" or "one more story". If you asked me what my favourite children's book is, I'd say this one. 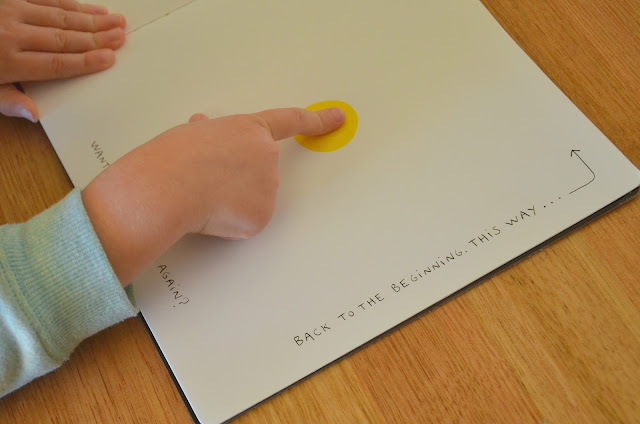 It teaches rhyming and opposites, it's cleverly written but oh so simple and can encourage early reading from very young children. We search through the pages to try and find our little green sheep - and where is he? Fast asleep (just like you want your kid to be!!) See! Go to sleep like the green sheep little ones! 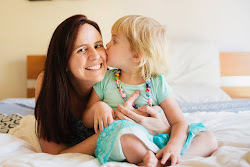 This book was so precious to prepare Miss M for becoming a big sister, and for when we brought the Little Man home (read my review here). It's another wonderful one for bedtime as our little friend Eleanor has a very busy day and is desperate to play with her little baby brother, but when he's finally awake and ready to play... you guessed it, Eleanor is too busy sleeping. After much excitement and racing around with his friends, Hairy Maclary ends up going straight back home to bed, hiding under his blanket. Young children are naturally drawn to Lynley Dodd's sing-song rhyming text and repetition as each friend joins Hairy Maclary on his adventure. Oh my heart when your child says to you "I love you all the way up to the ..." (whatever). Your heart will melt! What a beautiful way to end a day and remind you to tell you kid you love them even after all the tantrums they've put you through that day. Another favourite in this house. Miss M loves moon spotting with her dad, some nights before bed they'll head outside to see if they can find it (and can I just mention I think she has super human eye sight because she can spot a day time moon like you wouldn't believe). Bilby Moon is a beautiful story which can help children understand the complexity of why the moon changes shape. Ok I've just realised Mem has made this list twice! Well she is pretty awesome, she deserves to be. Sleepy Bears has a unique relaxing tone about it; 'Bella Bear yawned a BIG yawn...' it will have you and your kid yawning and relaxing ready for sleepy time. Each of the bears drifts off to sleep and has their own special dream. Do you have a favourite not already on my list? PS. 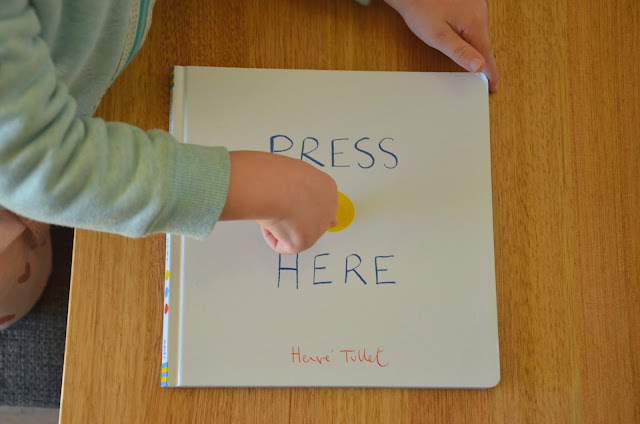 Avoid "Press Here" at bed time, because you'll be reading it over and over again (that's what the book tells you to do!) and your child will be hyped up from all the activity. A great book don't get me wrong - just not very relaxing before bed! We have most of those book but there are a few I will have to look at! 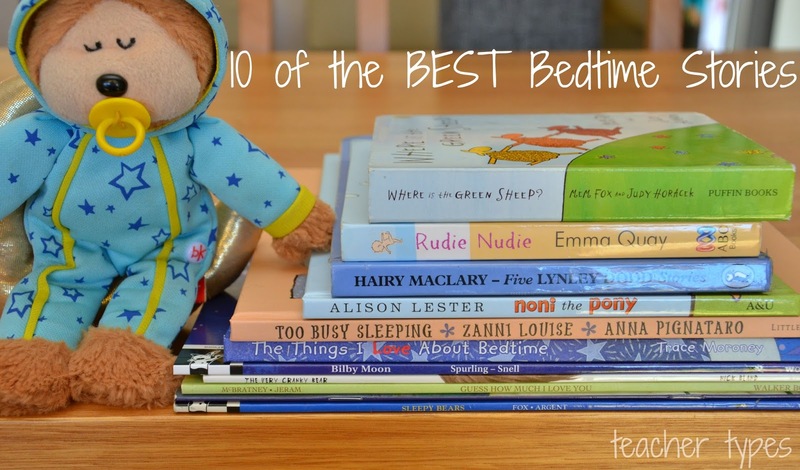 I adore Mem Fox and my kids love "Goodnight, Sleep Tight" (I think that's the title.) I met her at an event and managed to get an autographed copy of 3 books for my daughters. Pretty special.